Big, beautiful faceted gems, set in gleaming silver, add a splash of mesmerizing color to your wardrobe. The wide cuff expands to fit the wrist. 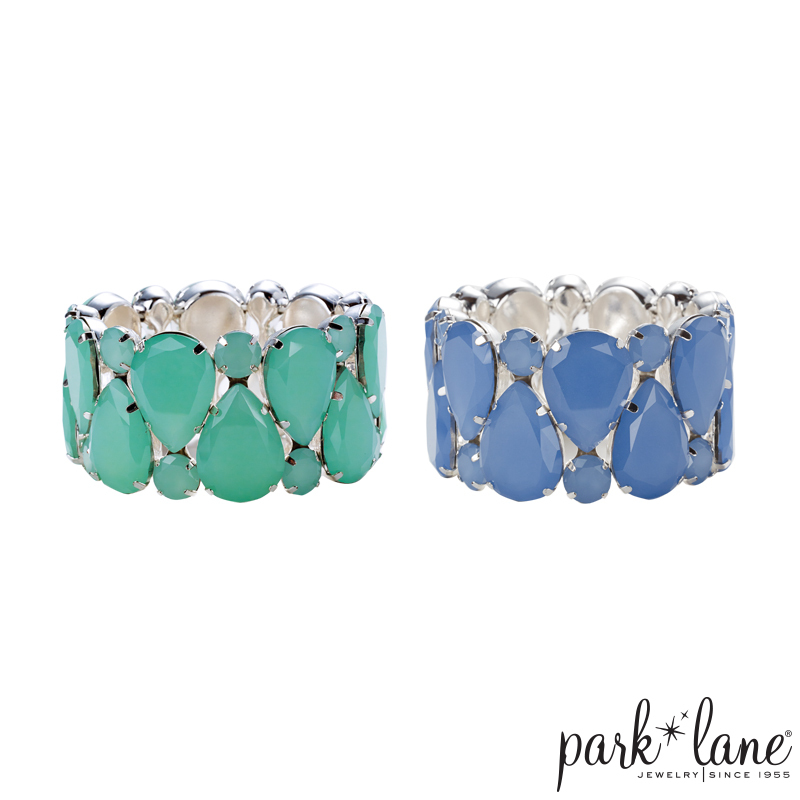 The bracelet is offered exclusively to Park Lane hostesses only. Available in Mint Green and Periwinkle Blue.